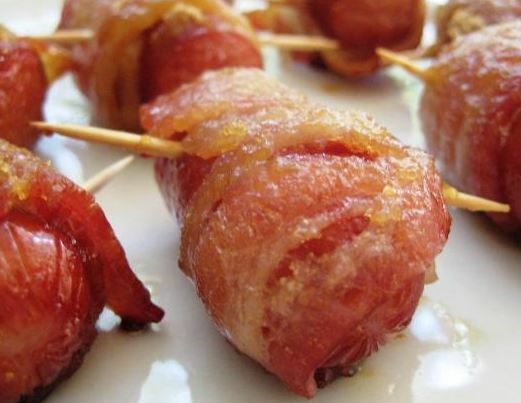 Here is another great recipe for your superbowl spread! Take a piece of hot dog and piece of bacon, wrap bacon around hot dog. Stick a toothpick through bacon to hold. Repeat until all the hot dogs have been used. If you like your bacon extra crispy. I recommend pre-cooking it slightly before wrapping it and putting it in the crockpot. Mmm. I wish I could eat this, but I cannot have hotdogs. It’s better to put a 1/4 cup of grape jelly on top too! Sounds funny but tastes amazing!